Johnnie Paul Uhiren, 85 of Slovak died peacefully on June 24, 2018. He was the son of Mike Uhiren, Sr. and Mary Hendrichovsky Uhiren. Johnnie attended Slovak Catholic School and was a member of Sts. Cyril & Methodious Catholic Church. He began to work on the farm at an early age. A farmer all his life, Johnnie also enjoyed deer and duck hunting. At age 19, he became a duck guide for Mr. Roger Crowe, where he gained a fine reputation as an excellent caller. 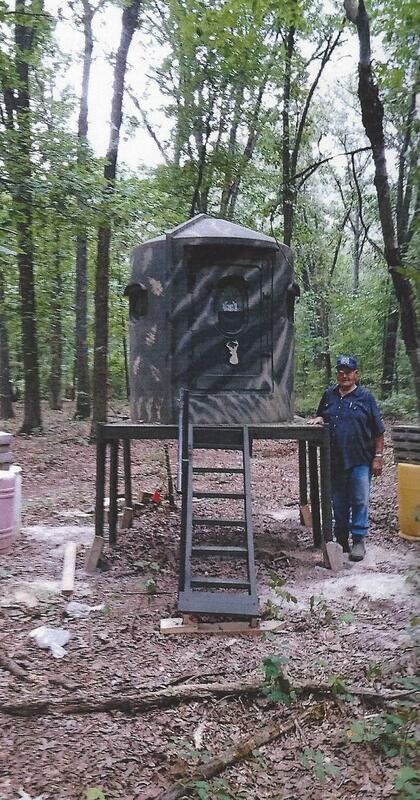 He was a member of Cedar Tree Acres Hunting Club. In 1966 he married Linda Fricker. They lived in the Slovak community all their life. Johnnie was preceded in death by two brothers, Mike Jr. and Charles Uhiren and one sister, Betty Morris. Johnnie is survived by his wife, Linda; brothers, Harry, Tommy and Butch Uhiren and two sisters, Theresa Royal and Pauline Melkovitz. Eva Sue Hauk, 89 of Carlisle, west to be with the Lord on June 24, 2018. She was the daughter of Walter A. and Susie B. Flynn. She worked for the City of Carlisle for twenty years. Eva was preceded in death by her husband, Harold F. Hauk, Jr, her parents, and four siblings. She is survived by two sons, David (Debbie) Hauk and Jimmy (Tena) Hauk both of Carlisle; nephew, Billy Flynn (Renee) of Little Rock; six grandchildren, Fred Hauk (Kim), Jay Hauk (Brooke), Chris Hauk-Harris (Tom), Katie Frederick (Phillip), Megan Warren and Morgan Flynn and 10 great-grandchildren. be 10:00 A.M., Wednesday at Trinity Chapel in Carlisle. Interment will be in the Carlisle Cemetery. 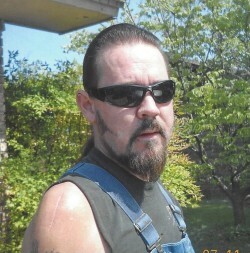 Otis “Pooky” Smith, 56 of England, Arkansas died June 20, 2018 at his home. He was preceded in death by his parents, Bud Robert Smith and Daisy Elizabeth Smith; brother, Johnny Smith and niece, Christina Smith. Otis is survived by his brothers, Billy Smith of Oklahoma, Early Smith of Greenbrier, and Daniel Smith of De Valls Bluff; two sisters, Cyndi Smith of Deann and Reda Stephens of Lonoke; 7 nieces; 3 nephews; his girlfriend, Joyce McCann of England and his son, J.J. Smith. Graveside service will be 2:00 P.M., Saturday, June 23, 2018 at Weeden Cemetery near Lonoke. Verlin Lee Addison, 77, of Hazen died Friday, June 15, 2018 . He was a retired construction supervisor. He was preceded in death by his parents, Verlin Addison, Sr., and Hazel and a sister, Mary Lodean Judge. 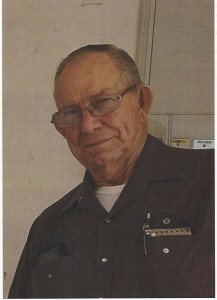 Verlin is survived by his wife, Betty; four children, Phillip Addison, Sharon Belieu, Greg Addison (Sandra), and Doug Addison; brothers, Preston Addison (Betty) of Benton, Eddie Addison (Brenda) of Des Arc, and Frank Addison (Kathy) of Hazen; sisters, Katherine Riley of Lynn Haven, Florida and Martha Odean Mills of Hazen; 8 grandchildren and 9 great-grandchildren and two step-sons, Robert Jones of Coldwater, Mississippi and Steve Jones of Hazen. Funeral service will be 2:00 p.m., Monday, June 18, 2018 at Lakeside Missionary Baptist Church in Des Arc officiated by brother, Eddie Addison. Visitation will be from 1:00 to 2:00 p.m., prior to the service. Burial will be in the Center Point Cemetery in Hazen, Arkansas. Arrangements are by Westbrook Funeral Home of Hazen. Josephine “Jo” Shelman, 88, of Hazen, went to be with our Lord, June 12, 2018. She was the widow of Phillip Thurman Shelman. They shared 37 years of marriage together. Born in Piermont, New York, she was the daughter of Joseph and Domenica Caputo. 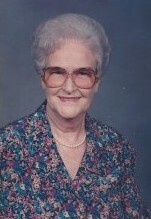 Josephine was a member of St. Rose Catholic Church in Carlisle, Arkansas, for over 50 years. Josephine and Phillip were active in church and shared their love for the Lord with many in the community. They served as Deacon and Deacon’s wife. Josephine was an avid gardener and enjoyed growing flowers, especially African violets. She was known for her love of Italian cooking and bread making. She is survived by her five daughters; Patty Carlson (Greg), Theresa Krug, Valerie Kelley (John), Anne Fairchild (Michael), Suzanne Severns (Bryon) as well as her brother, Joseph Caputo (Elizabeth). 17 grandchildren, and 12 great grandchildren. She was predeceased by her husband, Phillip Shelman, and her son, Joseph Shelman. The visitation will be held June 19th from 5:00 to 7:00 P.M. at Westbrook Funeral Home in Hazen. The funeral will take place at 11:00 A.M on June 20, 2018 at Sts. Cyril and Methodius Church in Slovak and will be preceded by the praying of the rosary at 10:30. Interment will be at the Slovak Catholic Cemetery. Memorial donations may be made to the charity of the donor’s choice. Jonathan Douglas Pollitt of Little Rock, Arkansas died June 9, 2018 at Baptist Medical Center in Little Rock. 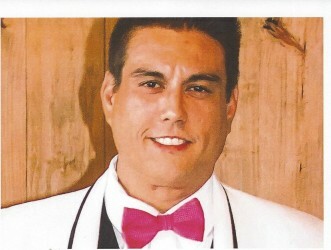 Jonathan was born in Kingsville, Texas on May 11, 1983 to Jeff and Alice Pollitt. Johnathan had a keen interest in knowing how things worked and he enjoyed taking them apart to learn. Dissecting and tinkering with electronic items were his favorite and he was always on the hunt for something to work on. Jonathan’s was always planning and thinking of better ways to do things or coming up with ideas for ways to make life better. Jonathan also loved music and played the guitar and he loved playing for anyone, no crowd was too big or too small. Jonathan is survived by his wife, Jennifer, who was the love of his life and his son, Noble. He is also survived by his dad, Jeff Pollitt, and brothers, Ryan (Carriere) Pollitt and Matt (Jamie) Pollitt and nieces Addyson and Audrey Pollitt. Jonathan was preceded in death by his mother, Alice Pollitt. Larry Wayne Kee, 70, of Hazen (Center Point Community) went to be with his heavenly father on Friday, June 8, 2018. Larry was born on March 27, 1948 to Harvey and Ruth Kee. He married his loving wife, Edith Weems Kee on February 28, 1969. They have been happily married for 49 years. They were blessed with four wonderful children, Shelley (Mike) Mills, Cindy (James) Murdock, James Kee, Jamie (Eric) Evans all of Hazen and a special friend Greg Horton. He has a precious granddaughter, Madison Sickel and two handsome grandsons, Luke and Matthew Mills. Larry served in the Army stationed in Germany for two years. Larry was a hard working man, loved to farm and take care of his cows. He was employed with Caviness Farms for 36 years. He is preceded in death by his father, Harvey Kee. Larry is survived by his mother, Ruth Kee; brother, Charles (Joyce) Kee; sister, Shirley Mills; brother, Loy (Debbie) Kee; brother, Stevie (Barbara) Kee, and sister, Becky (Tony) Sayger; a very special mother-in-law, Pearlene Weems and a host of nieces, nephews, cousins, and friends and his fur babies Boogie and Fletcher. Visitation will be Sunday, June 10, 2018 from 5:00 to 8:00 P.M., at the Westbrook Funeral Home in Hazen. Funeral services will be held Monday, June 11, 2018 at 2:00 P.M. at the Center Point Missionary Baptist Church. George Lee Zimmerman, age 50 of Carlisle, died Monday, June 04, 2018. George was a graduate of Carlisle High School, worked in maintenance, and was a fire fighter. He is survived by his parents, John and Sandra Zimmerman of Carlisle; his daughter, Sandra; his son, Jonathan Tiner and his brother, John Zimmerman. He was preceded in death by his grandmother, Zelma Zimmerman. Funeral services will be 2:00 P.M., Thursday, June 7, 2018 at Westbrook Funeral Home Chapel. Visitation will be from 1:00 to 2:00 prior to the service. Burial will be in the Carlisle Cemetery. Julia Maye Bennett Williams, 94 of Carlisle, gained her wings June 2, 2018. She was a beloved mother, grandmother, aunt, cousin and friend. 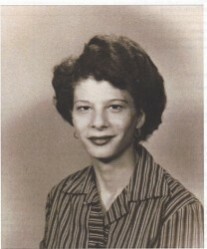 She was born in Carlisle, Arkansas on September 14, 1923 to Don and Cora Bennett. Those loved ones welcoming her home are her parents, three brothers, two nephews, two nieces, two sons-in-law, and one great grandson. Maye married her husband, Ernie Williams on March 28, 1946 and he preceded her in death in 2000. She leaves behind her four children, Ann Robinson, Carolyn Schmidt, Linda Sullivan and Don Williams and a special daughter, Ruby Vaughan; seven grandchildren, Debbie Fleming, Sandy Curtis, Eric and Jason Williams, Dawn Sullivan, Bryan Sullivan, Daniel Sullivan and a special granddaughter, Sheila Hamric; seventeen great-grandchildren and three great-great grandchildren. She also leaves behind two nieces and their families, Kathy Bennett Perkins, Karen McKee and the Morrison family whom she considered her bonus children. Maye lived in Carlisle her entire life and was active in girl scouts, boy scouts, and church youth programs at the First Baptist Church. 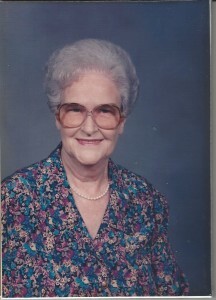 She was chosen as Carlisle Citizen of the Year in 2005 and she served as the Ouachita Girl Scout council for many years. She was “Aunt Maye” to several generations of young people in her community. The family wishes to express their thanks for the loving care their mother received at the Chambers Nursing Home over the past 5 years. Our mother would be happy to be remembered by a donation to your favorite charity, especially those for children or the First Baptist Church in Carlisle or the activity fund at Chambers Nursing Home. The family will be at the home of Daniel and Brandy Sullivan, 1201 East 4th Street, Carlisle. Visitation will be from 5:00 to 7:00 P.M., Monday June 4, 2018 at Westbrook Funeral Home in Hazen. Funeral services will be 10:00 A.M., Tuesday at the First Baptist Church in Carlisle. Interment will be in the Carlisle Cemetery.